Contax mount Zunow 50/1.1 on Zeiss Contax IIa. Woe to you if you loose that impossible to find Zunow lens cap! How to tell a Contax mount Zunow 1.1 from a Nikon mount? 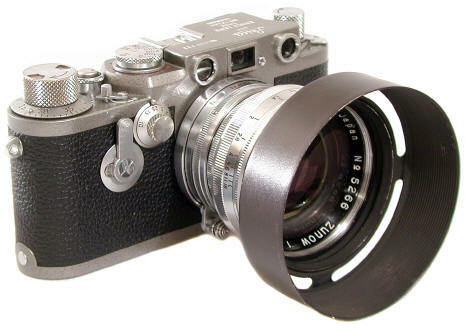 The Contax mount lens has no markings on the lens mount. The Nikon mount has a N on the lens mount. 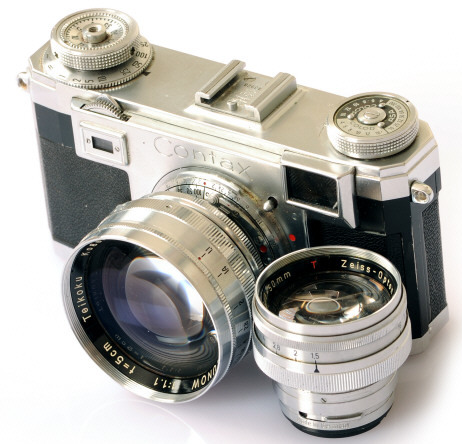 While both mount lenses will mount on both Nikon and Contax rangefinder bodies, they will only focus correctly on the cameras they were intended for. 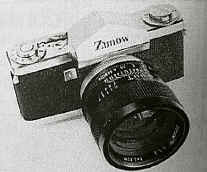 Zunow was a small independent Japanese lens company known for its brilliant designs, and their lack of financial backing. 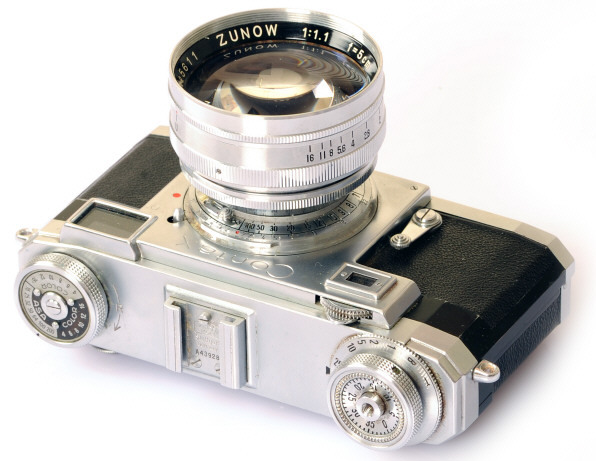 Zunow was a prominent maker of quality high speed optics in the middle to late 1950's. 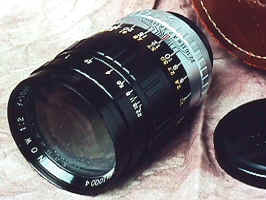 Initially their lenses were all chrome, but some late lenses were also made in black. ANY Zunow lens is rare today, but that is especially true for the black lenses. Even so, I prefer the classic look of the all chrome lenses! 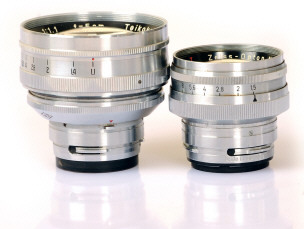 Lenses made for Leica, Contax, and Nikon Rangefinders include the 35/1.5, 35/1.7, 50/1.1, and 100/2. 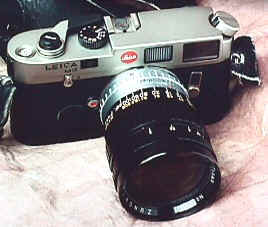 A 58/1.1 was also made in Exakta and Pentax/Praktica mount. I also found reference to a 75/1, but the mount was not stated. 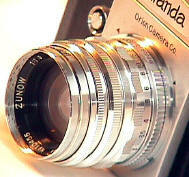 The first Miranda lens was a 50/1.8 Zunow. 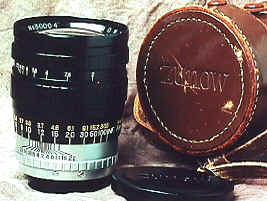 Zunow also occasionally supplied lenses to other Japanese camera makers, as well as making their own line of C mount movie lenses. 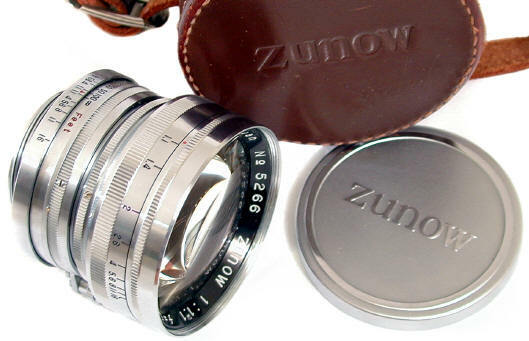 The Zunow l50/1.1: the most famous Zunow lens produced in Leica Screw Mount, Contax Rangefinder, or Nikon Rangefinder Mount. Here the Leica Screw mount 50/1.1 is mounted on a beautifully painted Shintaro hammertone Leica IIIf Red Dial Self Timer. 50/1.1 Zunow in Leica Screw Mt. Though a tiny company, the fit and finish of Zunow lenses compared favorably with the best from Nikon or Canon. The 50/1.1 Shade is even rarer than the lens! Zunow Lens lineup included 35/2.8, 50/1.8, 58/1.2, 100/2, 200/4, 400/5.6, 800/8. 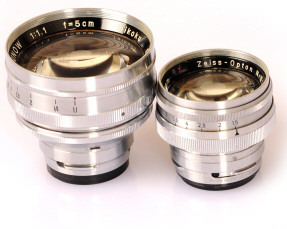 The shorter lenses up to 100mm had automatic diaphragms. As rare as the Zunow SLRs are, the lenses are even rarer. 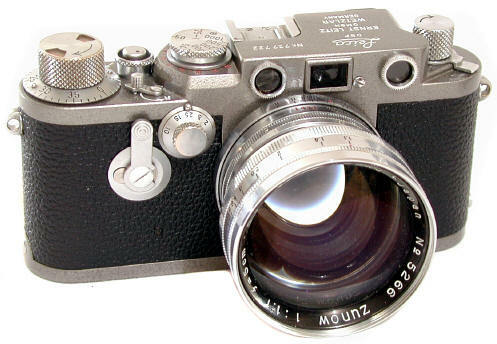 Instant return mirror called the "Wink Mirror System"
Automatic diaphragm called the "Zunow-matic Diaphragm System"
Shutter speed range of 1 second to 1/1000 on a single, non-rotating shutter dial. Dial rotated around the film advance, with the now standard shutter speed sequence. Speeds were evenly spaced on the dial, and easy to see as a result. Announced, but apparently not marketed, were a motordrive and a 400 exposure back. Accessories included a waist level finder, copy stand, filters, flash bracket, leather cases. The Zunow SLR was an outstanding design for it's time. Compare the list above and it becomes obvious the Zunow had much influence with the designers of the Nikon F. Alas, apparently due to limited resources, the Zunow SLR was not very successfully marketed. It is extremely rare and prized today. According to an early press release, the Zunow hand built assembly line achieved the blazingly fast production rate of eight cameras per day. I would guess only a few hundred were made, but I have never seen any Zunow production figures. Perhaps Zunows are more common in Japan, but in the US at least where they were never officially imported, they are next to impossible to find. The Zunow SLR was an outstanding design for it's time. Compare the list above and it becomes obvious the Zunow had much influence with the designers of the Nikon F. Alas, apparently due to limited resources, the Zunow SLR was not very successfully marketed. It is extremely rare and prized today. According to an early press release, the Zunow hand built assembly line achieved the blazingly fast production rate of eight cameras per day. I would guess only a few hundred were made, but I have never seen any Zunow production figures. Perhaps Zunows are more common in Japan, but in the US where they were never officially imported, they are next to impossible to find. Revised: June 25, 2009 . Copyright � 1998-2009 Stephen Gandy. All rights reserved. This means you may NOT copy and re-use the text or the pictures in ANY other internet or printed publication of ANY kind. Information in this document is subject to change without notice. Other products and companies referred to herein are trademarks or registered trademarks of their respective companies or mark holders.